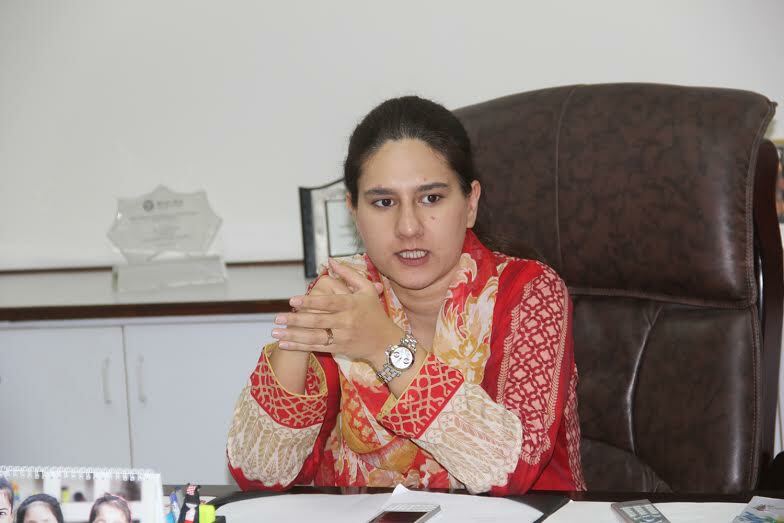 ISLAMABAD: Prime Minister Youth Scheme (PMYS) chairperson Leila Khan said on Thursday that business loans amounting to Rs20.52 billion had so far been disbursed among 20,499 youth under the programme. “Recovery rate for loan is around 91 percent,” she said, while talking to APP. The PML-N government had launched the scheme to extend financial assistance to 100,000 educated youth lacking gainful employment. Loans ranging from Rs100,000 to Rs2 million are provided under the scheme. “The prime focus of the scheme is to provide the country’s youth with financial assistance to make them independent entrepreneurs so that they can contribute in socio-economic development,” Leila Khan said. She said applicants needed to have just their CNICs besides an urge to excel as an entrepreneur to qualify for loans. The government has made the application procedure easy to ensure that no one who seeks the loan is denied an opportunity to apply for it. She said that around 80,000 youth had applied for the business loan, out of which 50,000 cases were rejected in the pre-qualification process due to lack of entrepreneurship abilities. Of the remaining, one half could not complete the banking procedure, she said. Leila said that a 50 percent quota in the business loan scheme was allocated for women, but only 10 percent of the applicants were women. Abdul Rahid Shakir, a research and public relations officer at PMYBLS, said that small business loan with a tenure of up to eight years, with first-year grace period, and a debt-to-equity ratio of 90:10 was being disbursed to small and medium entrepreneurs (SME) across Pakistan. About five percent loans in the women’s quota have been set aside for widows, people with disabilities and families of martyred, he added. “Every year 1.5 to two million people cross 18 years while the country is currently producing only one million jobs,” he said, adding that the government needs to generate two million jobs to keep meet the demand. According to Labour Force Survey 2014-15, Pakistan has 134.99 million working-age population and 61.04 million of them are in the labour force. The number of employed workers is 57.42 million. The unemployment rate, however, has decreased to 5.9 percent from six percent. Shakir further said that the SMEDA had been tasked with an advisory role in the implementation of PM’s scheme by providing more than 55 updated pre-feasibilities for referencing by loan beneficiaries and participating banks to optimally utilize their financial resources. An official from the National Bank of Pakistan (NBP) said that the first step in application process was desktop verification where banks verify the identity of the client via phone calls and then scrutinise client’s data by BCIL system. Anam Mateen, 23, a loan recipient, said that she belonged to Dera Gazi Khan where she inherited her father’s medical store as a proprietor. She secured a loan of Rs255,000 through the PMYBLS to purchase inventory and enhance her business. “With the help of this financial support, our sale went up to Rs18,000 per day from 10,000 per day”, she said.